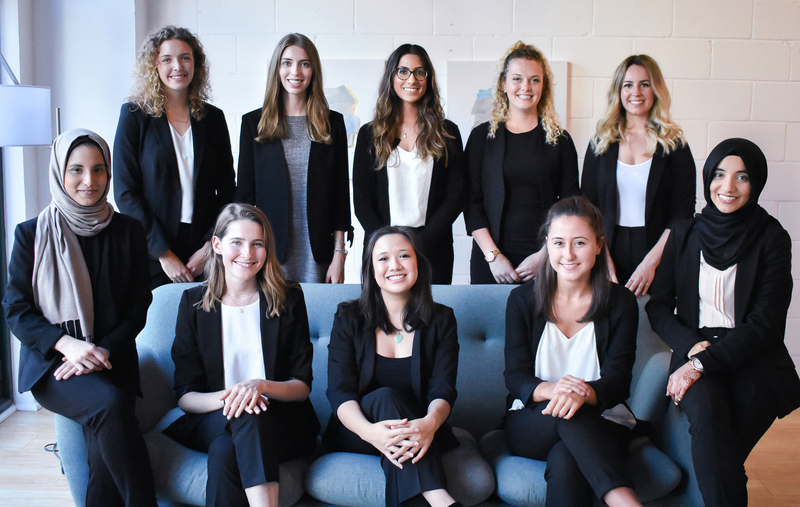 We provide JMSB women with the tools and resources to succeed as business leaders whilst allowing students to graduate with a better understanding of gender equality. This committee begins with the understanding that gender equality is not only a women’s issue, but a human rights issue that requires the participation and commitment of both genders. 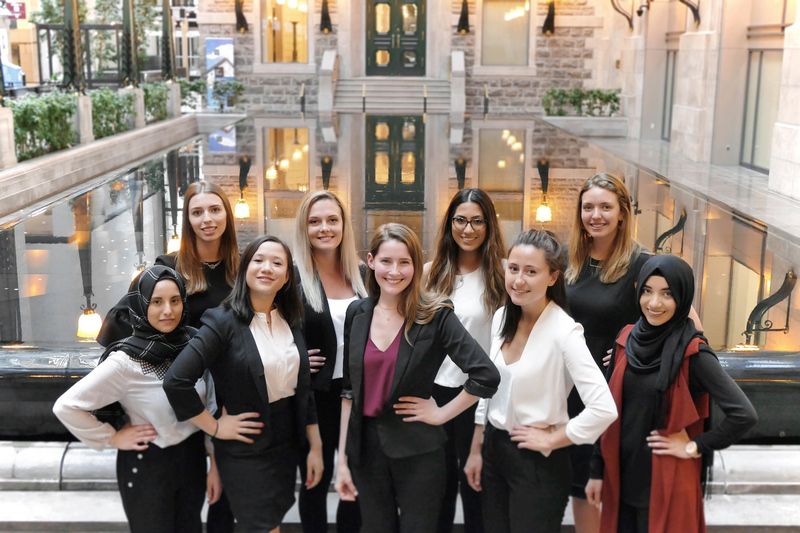 JMWL was founded by a group of John Molson School of Business students to form a bold, visible force for gender equality, and to empower women to rise through the ranks of the corporate world. 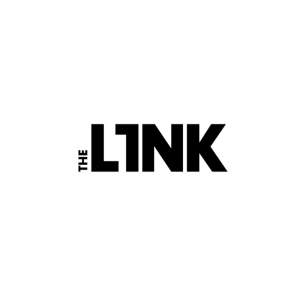 We firmly believe that the best way to communicate our cause is through engaging, educating, and by empowering the student body with the tools they need to lead. 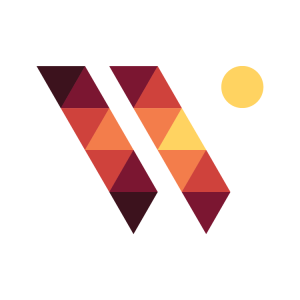 By hosting a multitude of events such a panel discussion, workshop, networking cocktails and mentoring sessions. I feel that coming to this JMWL event really opened me up to networking. I had never been to a networking event before and felt nervous going in, but I immediately felt comfortable making connections with my fellow attendees. The speaker was engaging, interesting, and shared helpful anecdotes and tips that I felt I could use directly in my networking approach. I am so thankful for what I’ve gained from having attended. Good event! It would have been nice to have more diverse speakers, other than that it was good and very well organized. JMWL's networking event opened my eyes on the opportunities that can arise from putting myself out there. It gave me the tools to be more confident and strategic in a networking setting. I honestly received a new sense of drive to pursue my career in finance. Listening to those women talk about the career challenges they faced provided me with motivation. The speech as well as the presentation was very informative and interactive. The presentation and the group work was amazing! JMWL’s cocktail was a pleasant way to engage with students on topics that are often the subject of much debate. I left feeling informed and since then, I have been able to share the knowledge I gained with friends and family alike. Attending the Diversity in Finance speaker panel was one of the best decisions I made all semester. I’ve never been more inspired to continue in finance!! It was a very unique event. I’ve never been to something like it. The Cocktails & Conversations event hosted by John Molson Women in Leadership was an enlightening experience. The overall organization of the event was to be admired. From the presentation portion, to the networking segment, to the raffle; every aspect was engaging and stimulating. Similarly, not only was it an opportunity to mingle and network, but an opportunity to learn how to do so. 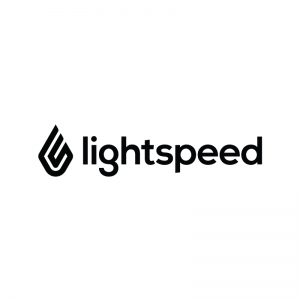 This take-away was definitely the mainstay of the event and is something that will significantly contribute to us, the attendees daily lives. We benefited from both shared expert knowledge and the chance to engage in hands on experience. It was truly an educational and enjoyable occasion and I would definitely love to participate in more of JMWL’s activities! The Get Savvy: Tackle Tech event organized by JMWL was very enlightening. I learned a lot from the panel, who explained the lack of diversity in the tech industry. Additionally, there was a case that allowed everyone to brainstorm changes that need to be made to overcome this challenge. Overall, an informative event with great opportunities to network, would recommend it to anyone. JMWL's latest event, "Get Savvy: Tackle Tech" was by far one of the most compelling committee organized events I've ever attended. The panel discussion was incredibly engaging and dealt with extremely relevant and varied topics, from the significance of technological advancements in traditionally untechnical industries, to affirmative action programs in male-dominated STEM fields. The discussion was followed by a fascinating case solution in assigned teams where you had the chance to collaborate with brilliant students from all walks. Finally, we presented our solutions to the other attendees as well as the panel, and had the chance to discuss our ideas during the cocktail that followed. I'm eagerly looking forward to JMWL's next event. As I walked into the event, the first thing I noticed was the setting: a very hip venue with a welcoming and yet professional ambiance. The guests on the panel were very well chosen and made some thought-provoking points. This was followed with an interesting case study, that got everyone who attended the event involved. I was very glad to have attended the event, which left me feeling informed and involved. Great event, the topic was very well tackled by the panel and the questions were pertinent. The case reflected perfectly the topic mentioned and presentation feedback were very helpful. 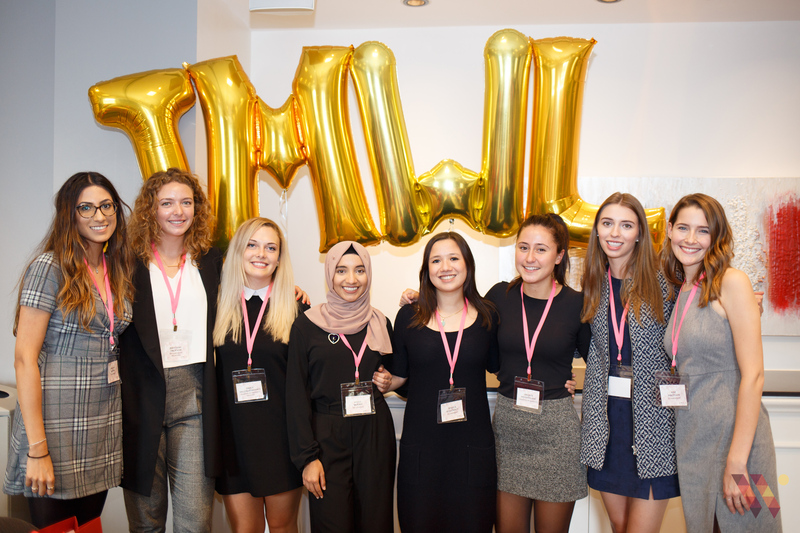 Having attended both of the JMWL events during Fall 2018, I have witnessed first hand the importance, need, and outcome of bringing together industry professionals and students in search of greater equality in the workplace. 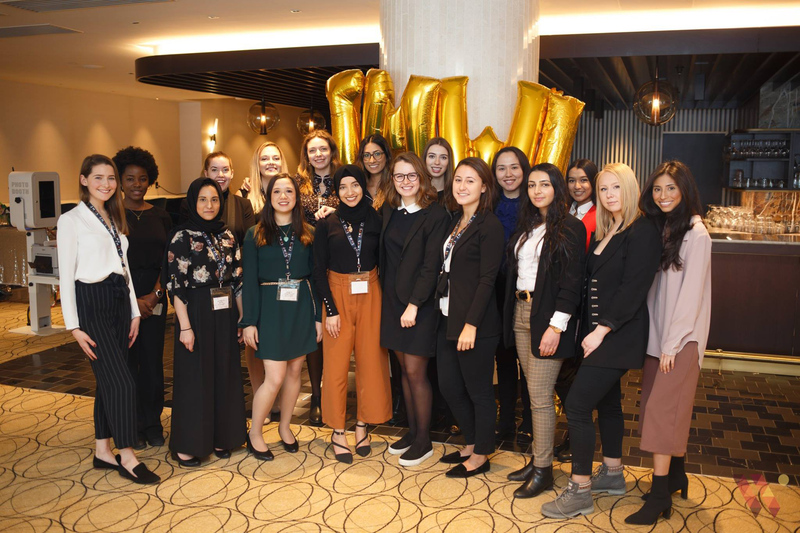 Both events are designed to help promote equality through panel discussions, presentations from industry professionals, and brainstorming activities all while encouraging networking through a relaxed 5 à 7 atmosphere which is what truly makes the strength of the JMWL events. This optimal mix between business and pleasure maximizes the experience that both male and female students get out of these events, and the reason why I keep coming back. As a first time attendee, I was positively surprised by the level of professionalism and organization deployed by the JMWL committee members. 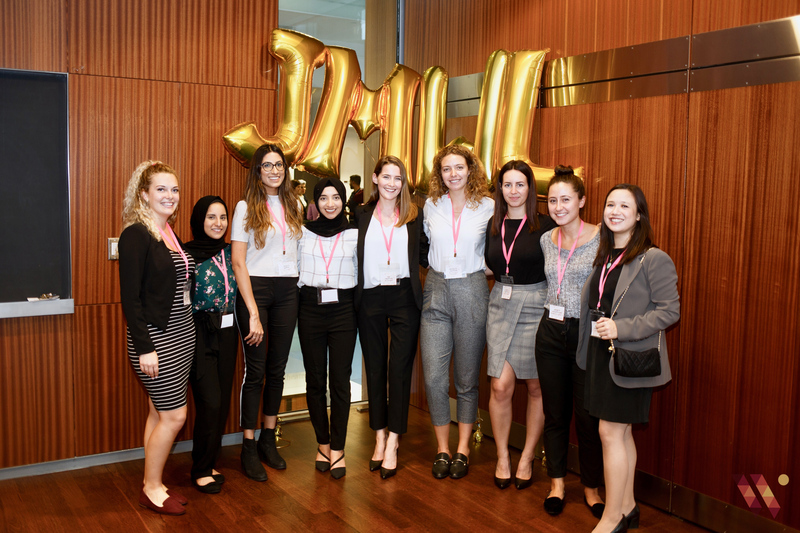 At the forefront of this well rounded event, the JMWL committee surpassed my expectations allowing invited guests to feel included as part of the open discussions taking place during the speed mentoring sessions. Embracing the leading theme of the occasion, diversity among the workplace, the team can certainly classify this event as a success. Having attended JMWL’s events regularly for the past two years, I can definitely say that it has truly been one of the most enriching, exciting and resourceful experience. 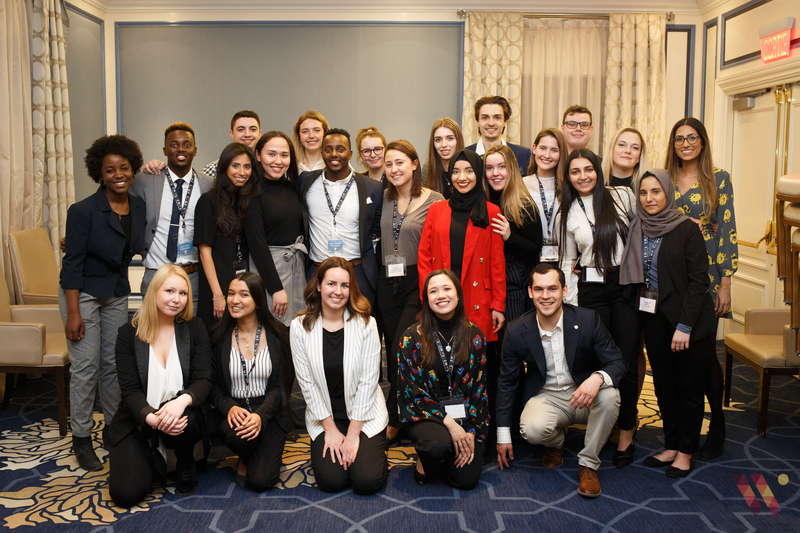 Their events have opened my eyes to not only the vast amount of opportunities available for students like me in various fields, but also to the different challenges in the workplace and how we can come together to raise awareness. I have met some great new friends from different backgrounds and fields, and have built relationships with employers, mentors and attendees. The integrity, hard-work and compassion that the JMWL team has shown throughout the years through every single event has been truly inspiring and I feel like I fit right in. A BIG thanks to JMWL’s Diversity in Action event planning team for putting together an outstanding event. From the panelists to the round tables, in all the environment was engaging and effective in regards to providing means for quality networking. Make sure to attend one of there upcoming events, you won’t be disappointed!! Inspirational. That is the best word to describe JMWL’s Diversity in Action Conference! I was captivated by the panel, engaged by the mentors and connected with fellow students. 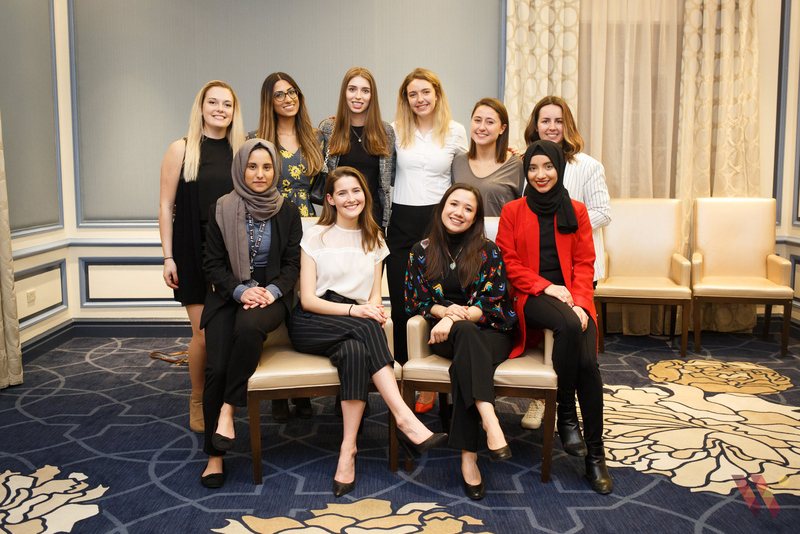 The committee brought a very current issue to the spotlight, and brought together a host of backgrounds and experiences to really get the conversation going in order to inspire change. Furthermore, it was great to see a good mix of genders in the audience. The day was both well organized and executed- I can’t wait to attend their next event! I am so glad to have gone to JMWL’s flagship event, Diversity in Action, this year. 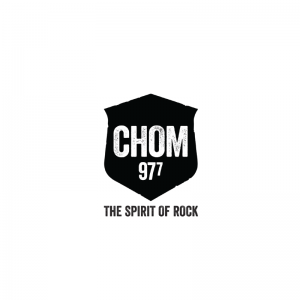 While I had known just how professional this organization is capable of being, they had gone above and beyond this year to ensure that all attendees left with the most positive of experiences. I personally found the way they were able to fit in multiple activities into one day, unbelievable. I felt engaged, welcomed, and moved by their efforts. And, I left the event feeling determined, and inspired. This was my first JMWL event, and it was a great experience! Even though I am not a JMSB student, I was very surprised to see how welcoming the committee and the event was. Not only was it very diverse in terms of race and gender, but there was also a big diversity in terms of university programs and interest. The panel session was great! Every panelist was goal oriented and gave great feedback on how companies can make women more integrated into the workplace. The mentorship session was also great, as it felt more personal with the small rounds tables. Overall, a great event and would definitely go to another one! All of the morning panelists at the Diversity in Action event were inspiring #GoWomen! In the afternoon I got valuable one on one time with a recruiter from PwC and I was able to ask all of my accounting questions! On January 25th 2019, I had the pleasure to attend Diversity in Action hosted by JMWL. Not only did I get to participate in a diverse panel of successful female leaders but also network with a dozen of business representatives from well-known firms. I was inspired to see that about 30% of the attendees were men. As a man of color, I always believed anyone could be a feminist regardless of gender, race or socioeconomic class. With the aforementioned, I truly think attending events such as Diversity in Action empowers our community by making everyone a part of the gender equality discussion. We should all contribute!